Instagram's latest update has removed the ability to choose which photos get uploaded to your Photo Map, now requiring you to tag your photos with a location to have it added to your map. The Photo Maps button allowed users to choose photos that they didn't geo-tag to add to their map. This was useful if you took a photo and wanted it added to your map, but not tagged with a location, which would cause your photos and at times your exact location to be added to a public stream of your profile was also public. This week's app update has removed the 'Add to Photomap' button, without giving much of a notice to users, meaning the only way you can now add an image to your map is by tagging it with a location. "On Monday, we made a change to make it easier for people to add location to their photos. As part of this, we removed the option to 'add to Photomap' from the flow'," an Instagram spokesperson told The Next Web, which spotted the change. 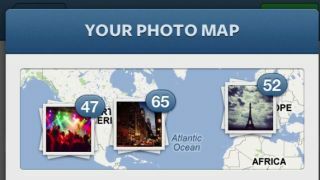 Instagram's Photomap help page has also been updated to reflect the changes, but what is concerning is that many people may not realize that they'll essentially be giving away their locations in a public photo stream if they want photos added to their own map. Users can remove the tags from their photos, but it will mean that the image will also be removed from their own map. Users can also still remove tagged images off of their maps. Correction: The story incorrectly implied that previously, geo-tagged photos in Instagram were not automatically added to a users map. It also incorrectly implied that private profiles could also have their images added to a public stream. Changes have been made to the story to correctly reflect this.